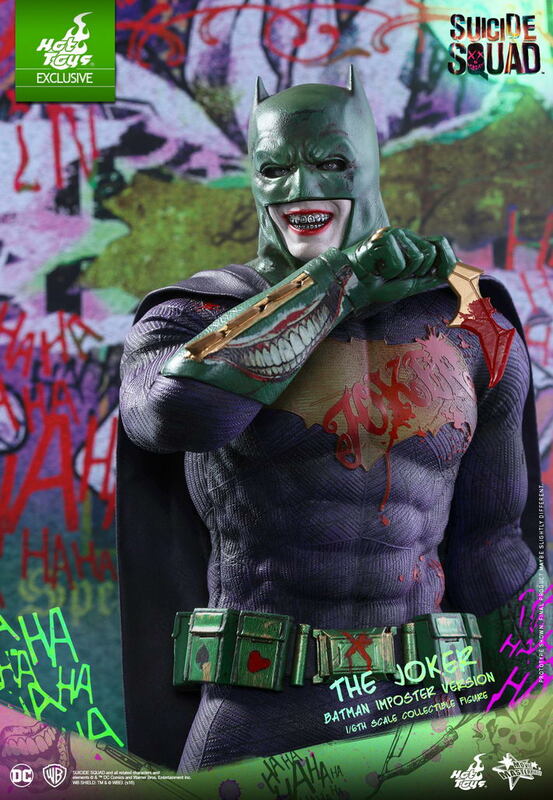 The longstanding feud between Batman and the Joker has been the dramatic core in Batman lore since the very beginning. 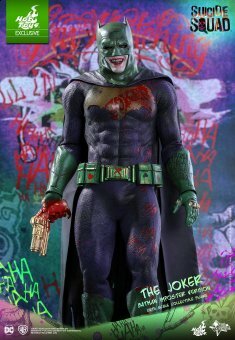 In the Suicide Squad movie, the two has an oh-so-brief encounter – their first in the recently established DC Extended Universe – leaving fans to speculate and dream about what it would be like when they inevitably clash in future outings. 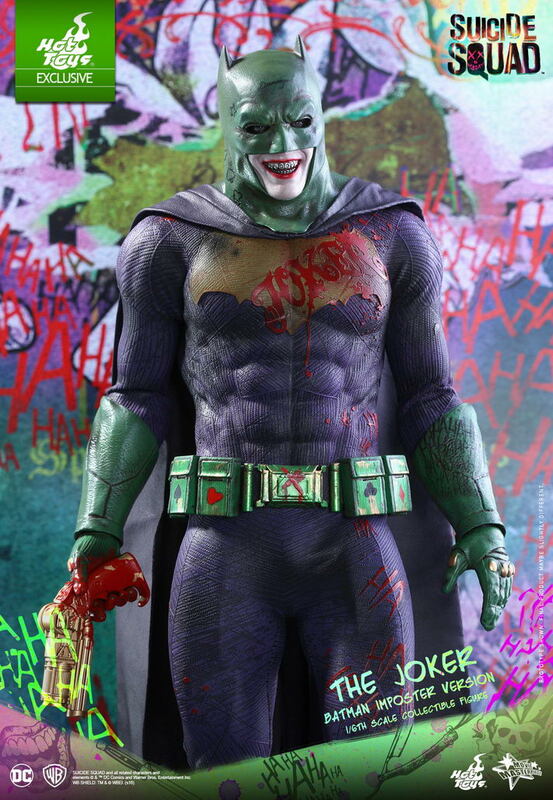 In the spirit of the movie, the designers at Hot Toys let their imagination run wild, and the result was an intriguing alternative vision of the Joker impersonating Batman, now beautifully realized in the form of a 1/6th scale collectible figure! 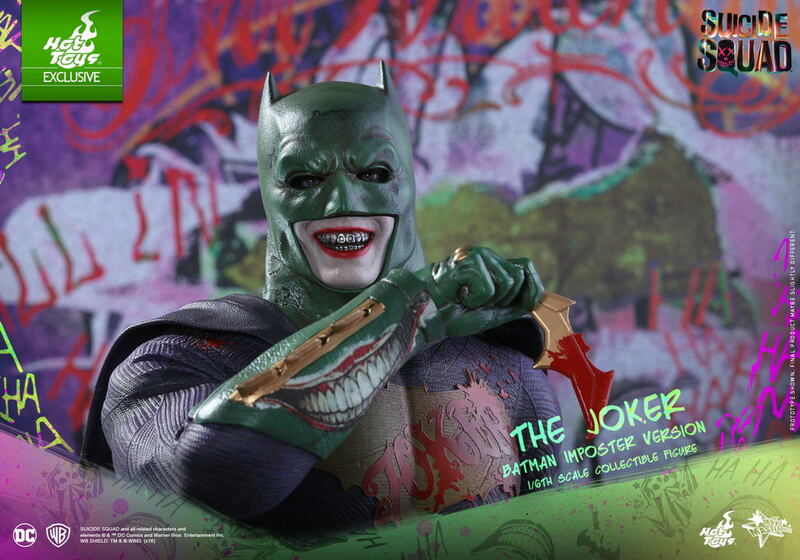 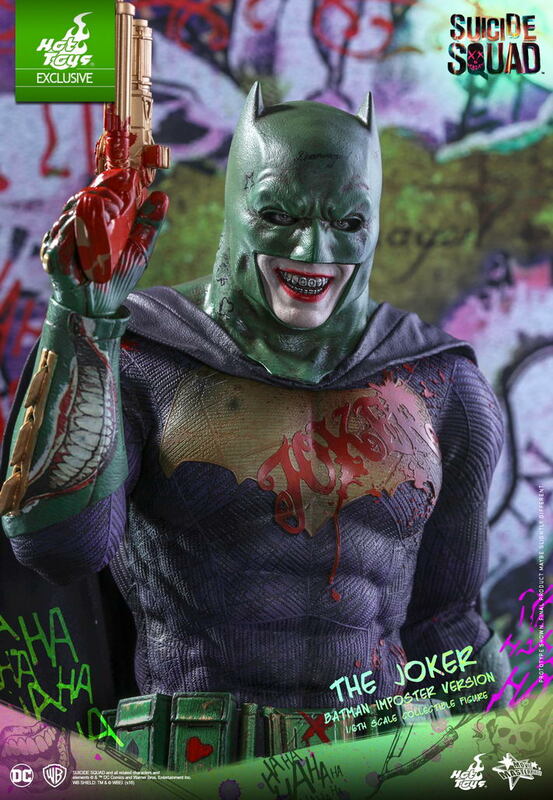 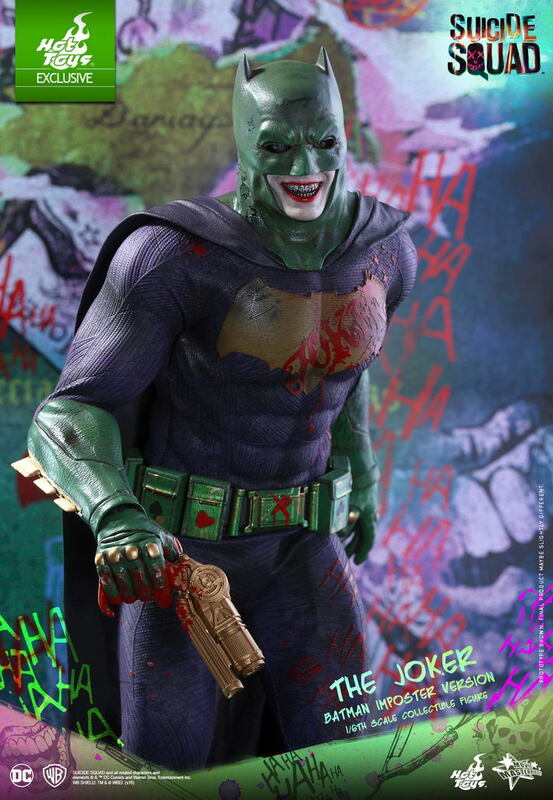 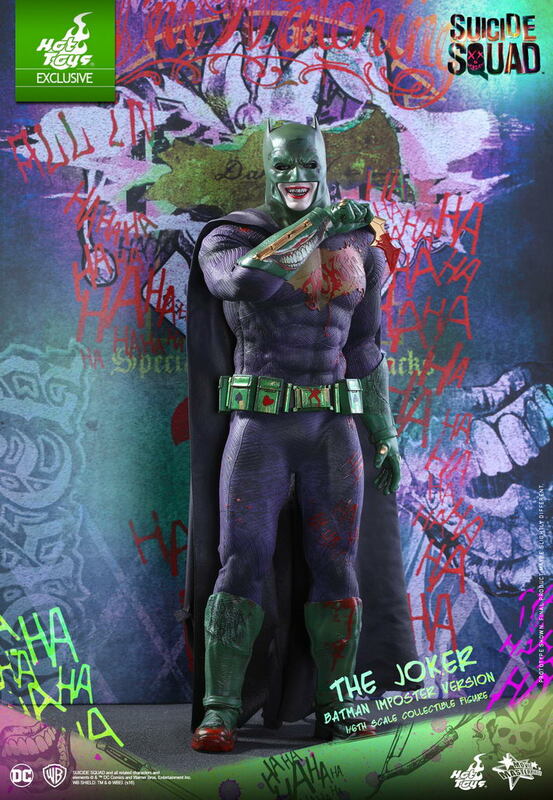 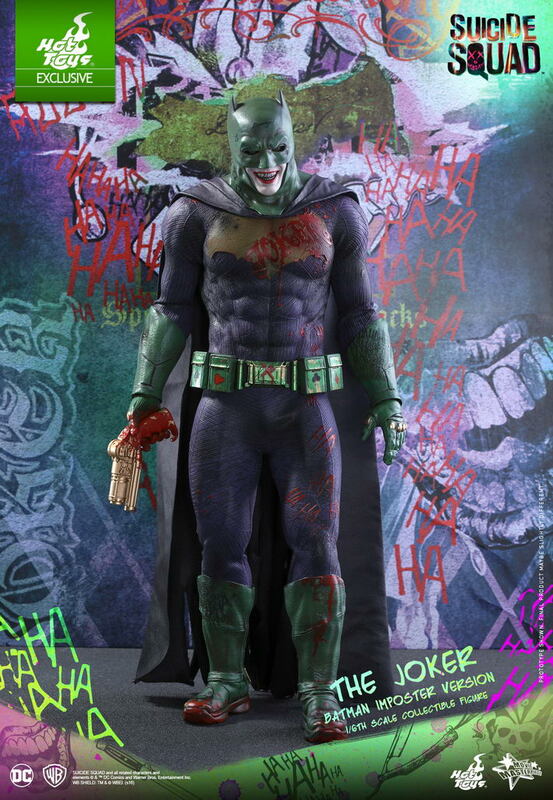 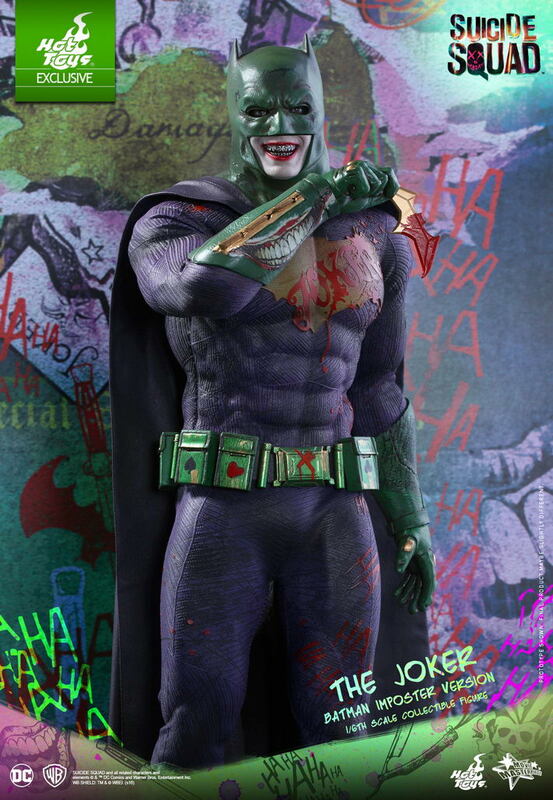 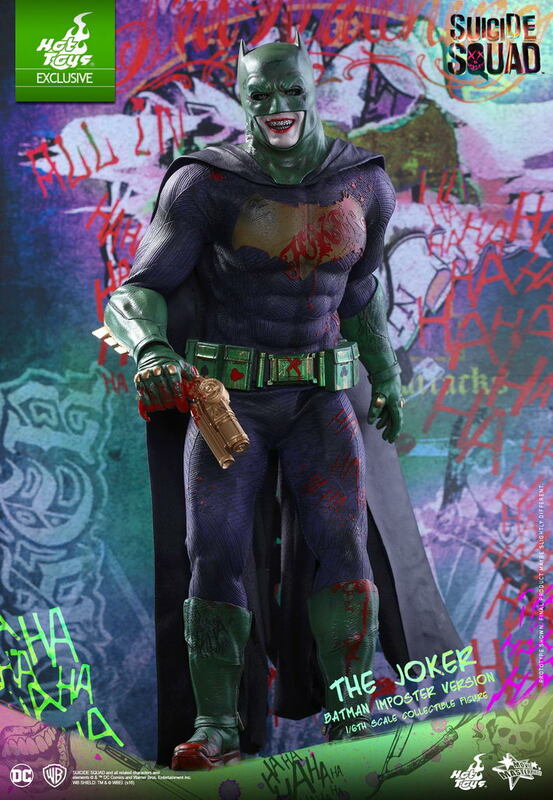 The highly stylistic collectible figure is sophisticatedly crafted based on Jared Leto’s image as the Joker from the movie, clad in a specially designed, never-before-seen Batsuit in the Joker’s signature purple and green colors and decorated with his unique tattoo prints. 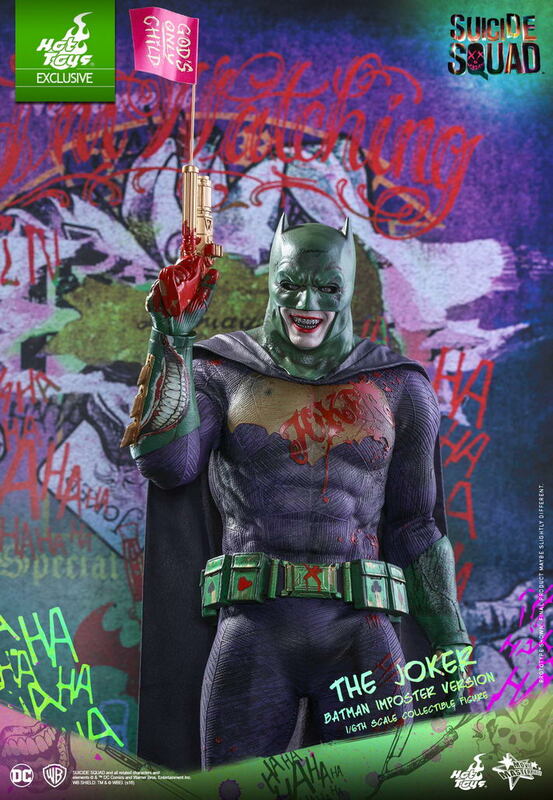 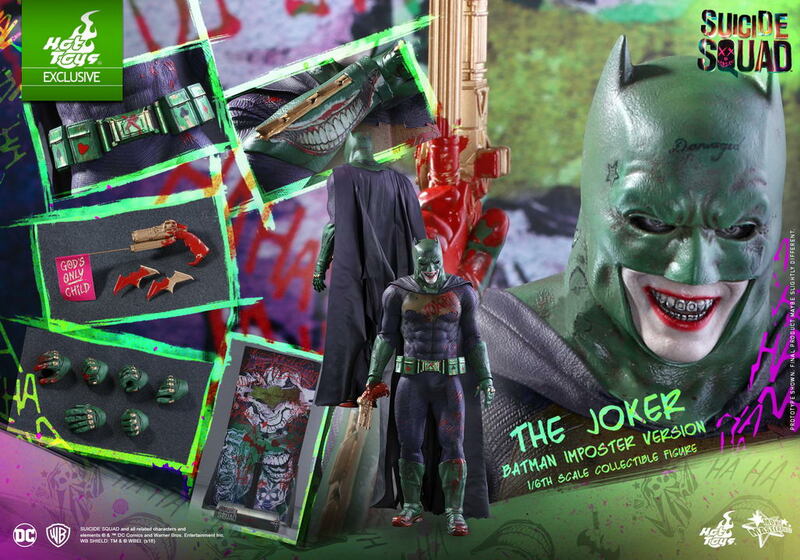 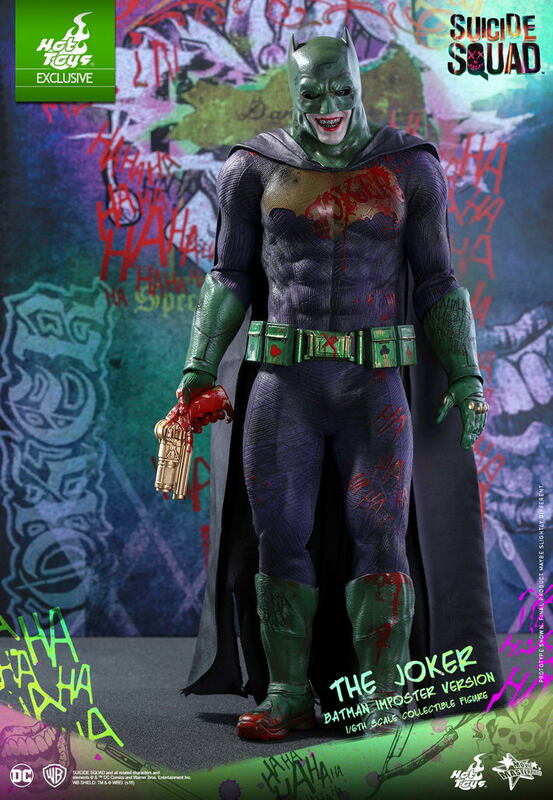 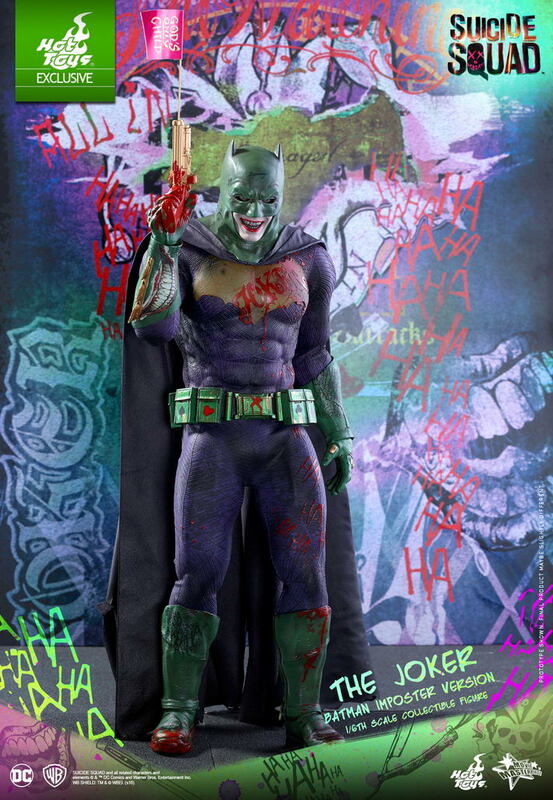 It also features a masked head sculpt revealing the Joker’s sinister grin, 2 blood-stained batarangs, a flag gun, and a Suicide Squad-themed figure stand with character backdrop. 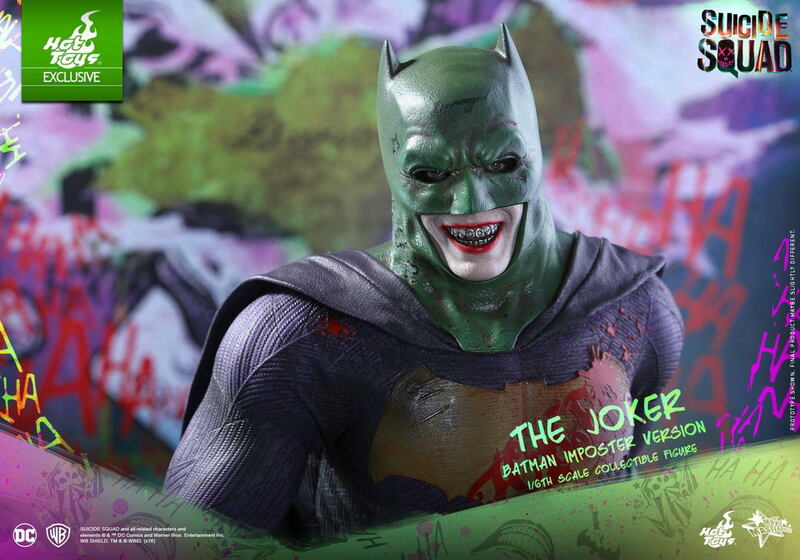 This very unique Joker/Batman collectible figure will be the jewel in the crown of your Hot Toys collection!